We are incredibly proud of what our providers have achieved over the years. See their accomplishments below! 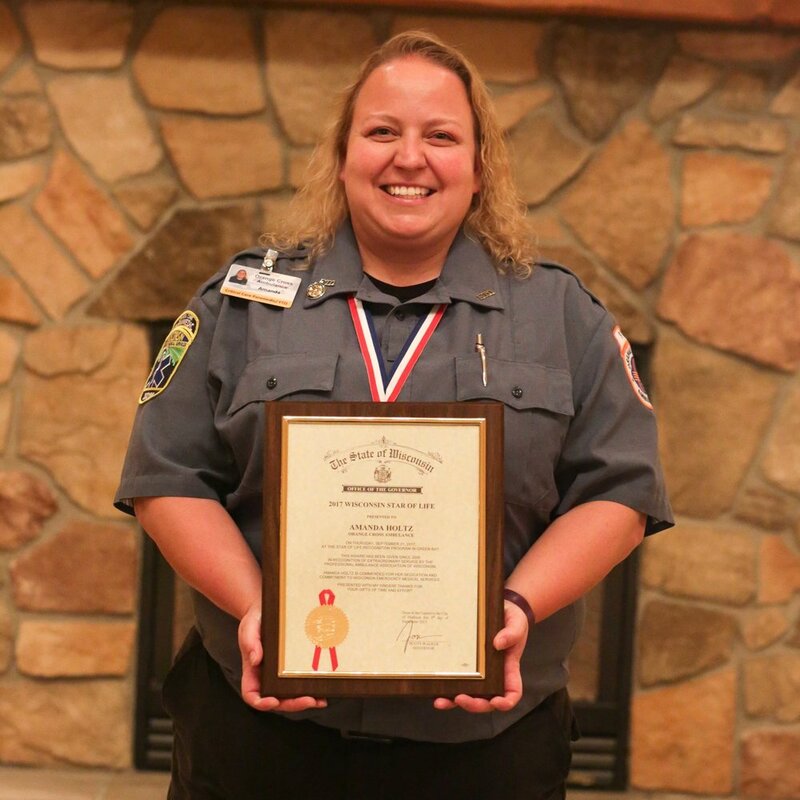 OCA CCP and Field Educator Amanda Holtz accepting the 2017 PAAW Star of Life Honoree Award from Orange Cross. OCA Paramedic Taylor Green accepting the 2016 Fond Du Lac Base Flight for Life Scene Call of the Year Award for her demonstration of excellent care during a large motor vehicle accident. 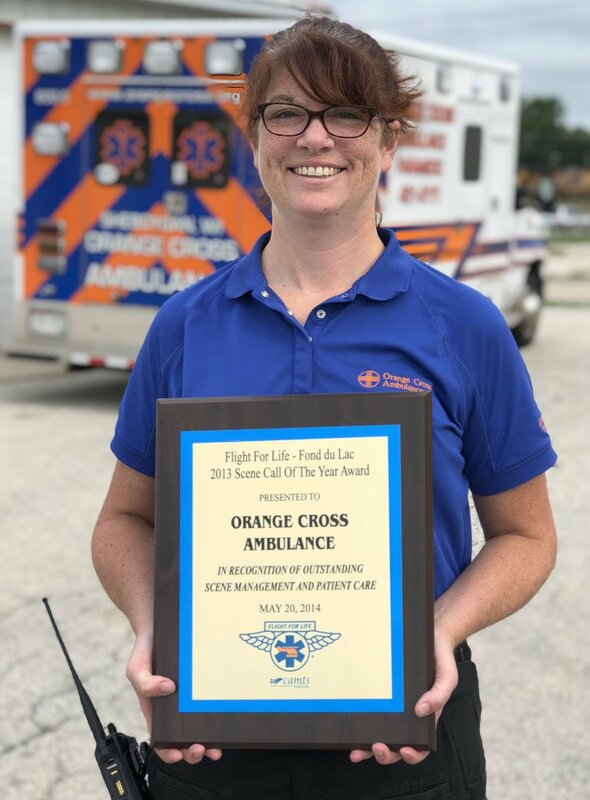 OCA CCP Rebecca Versey with the 2013 Flight for Life Scene Call of the Year Award for her demonstration of execptional care and team coordination when treating a critical pediatric trauma patient.